NRL, AFL and cricket tragic who supports the Raiders, Crows and the Australian cricket team. I've been following sport for over 50 years. Spot on Albo. The thing that struck me when the Knights played the Raiders in Canberra a few weeks ago was their lack of intensity. The game was never a blow out but the Knights never really threatened to take on the Raiders when the game was up for the taking. It was one of those games you watch where the scores are fairly close but you never feared losing. Is that the coach’s fault or a collective lack of player effort? There were a few tries scored yesterday from borderline offside kicks and blatant forward passes in both matches yesterday but they weren’t called back. And yet there were a couple of forward passes that were called late in the Roosters vs Storm match as well. Interpretation seems to be every inconsistent. The forward pass interpretation has been an ongoing issue since time immemorial. How many times do you see a bloke pass the ball before a line on the turf and the attacking team mate receives it a a metre or two in front of the line and its let go? Particularly if it results in a try for the home side or the side not favoured to win. Gus was banging on about it being OK if it floats forward as long as the pass is motioned backwards but it still does my head in when I see it. To me if the receiver gets the ball a metre or two in front of where the pass was thrown its an immediate penalty for a forward pass. I don’t care how it got there. What’s wrong with attackers having to come on to a thrown ball that is flat at worst? Hard to argue with your assessment Stuart that the Roosters and Storm are the benchmarks of the comp. The Roosters were terrific in that first 30 minutes – JWH was on fire and Mitchell and Tedesco are incredible weapons to have at your disposable. Both teams are brilliantly coached. Whoever is brought into the team to cover injuries seem to know their roles. Even the young blokes. And the last 10 minutes were fascinating with neither team prepared to give away 7 tackle sets with field goal attempts. And TB is right that other teams will have to find away to lift up to their level. The Rabbitohs have the potential but they go through patches in games where they are pretty awful and would be punished for it by the better teams. I think the Sharks are also a threat if they can get everyone on the field. They also have Fifita and Johnson who can find a way to win close games. I’m hoping the Raiders are part of this group that have the potential to lift up to their level as well but its still early days and they face are tough task against the Broncos on Sunday who will be smarting after getting bagged out by former Bronco greats and most of the press (for good reason I might add). This is a real test for the Raiders and Ricky Stuart as they are favourites with most to win. Ricky has been talking up the Broncos chances during the week so hopefully the Raiders are switched on from the start. Has the potential to be a great game. I thought the Bulldogs were really gutsy against Souths but they are pretty light on for experience in key positions. I think its just a matter of remaining patient for Dogs fans as the desire among the players is there – its the execution and some of the decision making that needs work which may take a bit of time. Hodgson can either be very good or very frustrating. Don’t see him as being anywhere near the level of Cameron Smith. There are times when he needs to dish it off to the halves and see what they can come up rather than the short pass to a forward for the crash over try which become very predictable and is easily read by the defence. The Raiders had a heap of possession in the first half but couldn’t open up the Eels defence. The Raiders have the Broncos (home), Manly (away), Panthers (Wagga), Roosters (Brisbane) and Rabbitohs (home) in the next five weeks so we should know how they are travelling after that. Yes the Raiders attack still has a lot of improvement in it. But I was very impressed with their defence yesterday. Absolutely brutal. The Eels would be very sore today. Even Jarrod Croker is bringing stinging defence. A lot of credit should be given to the Eels defence in the first half. They were very resilient when the Raiders had most of the possession. And the Raiders attack is a still a bit clunky due to Wighton being a work in progress at 5/8. I really liked his involvement yesterday. He made a few mistakes but he put on a few good plays as well. He can deliver a towering bomb but his kicking to the sideline still needs work. His defence adds a lot to the team. And Hodgson made a few errors as well but is the focal point of their attack. Hard to be unhappy when you’ve won 4 out of 5 but there is still a lot of work to do. The SANFL grand final last year was an absolute cracker – two teams that took each other on – relentless attacking footy from one end to the other. At AFL level it appears that sides are too scared to lose and aren’t prepared to take the risks required to win. I can’t stand it. The Crows deserved to lose last night. The Roos should have won by 10 goals or more but instead they fell into the same trap of chipping around. By doing so they took the risk of losing the game if somehow the Crows got their act together and strung together a few decent passages of play. Peter – I follow rugby league as well living in Canberra and being a Raiders member – but I lived in Adelaide for many years – I’m actually a North Adelaide supporter in the SANFL and grew up watching some high quality matches in this comp back in the 70s, 80s and 90s – and took on the Crows as well when they entered the AFL. The wins by the Crows when Darren Jarman and Andrew McLeod were playing and Malcolm Blight was coaching was some of the best you’d see. Unfortunately the dross that is served up today just doesn’t compare. The game has regressed as a spectacle. There is none of that free flowing spectacular footy where teams take on the opposition – they are too scared to make mistakes – so they just chip it around. I hate it and can’t be bothered watching it. To be honest I’m happier following rugby league now – the contests are much more direct and honest – you have to charge at the opposition and find away to crack their defence but their are some brilliant players in league that show amazing skill in such an explosive high collision sport. You can’t just throw the ball around among yourselves – you have to take on the opposition. The quality of the AFL just doesn’t compare. And I hate seeking all this faking for free kicks – particularly mock fights where blokes fall over after they are touched to try and get a free. That sort of behaviour wouldn’t be tolerated in league – they’d get sorted. It isn’t all bad. I really like the way GWS are playing at the moment. Given they play a few games here in Canberra I might support them more strongly. They seem to have a real crack as a team. I still have a soft spot for the Crows but I hate what I’m seeing from them at the moment. Don Pyke has a real challenge on his hands. The Crows have gone through a lot of adversity post coach Walsh’s death, the humiliation of the 2017 Grand Final loss, the Collective Minds debacle, etc. You’d think this would have contributed to a steely resolve – an us against them mentality. They had a great 2017 but unfortunately they met a Tigers side in the GF that would have destroyed whoever they played that day. And instead of resurrecting themselves the team had a horror run with injuries in 2018 and so far this season they look deflated and timid and I don’t understand why. The author of this article is correct in that Pyke faces a real challenge in turning them around as they are a bit of a shambles at the moment. Don Pyke is kidding himself if he thinks his players are putting in enough effort – they aren’t and that’s why they lost to the Kangaroos. The questions needs to be asked why aren’t they putting in the effort required to win? It appears as if they have lost all confidence and are unwilling to take the game on. Adelaide are soft. And that’s the coach’s responsibility. Couldn’t believe what a poor spectacle that game was last night. Both teams were content to just chip around the backline. Shocking advertisement for the game. ScoMo was probably getting down singing a few hymns somewhere in Cronulla! Don’t forget that very few politicians live in Canberra – we just have to put up with them for a few months of the year. Nice work Papi – James did a great version of Downhearted by the way. And nice reference to “Only a fool would say that” – great song by Steely Dan – one of my favourites of theirs back in the 70s. So much great music out there. Got to enjoy it while you can. Just got back from John Bateman’s Bay Baz – you wouldn’t believe it but Unpublished Critics is my favourite of Aussie Crawls as well – I was going to yell out to James to sing it for his encore but he played Boys Light Up and that was it for the encore. He’d just played for 2 hours though which was pretty good value. I would have gladly volunteered to play slide air guitar on Unpublished Critics if they’d needed it. When I got home I found the CD and turned it up to 11 – great song. Fantastic Dutski – he’s still got it – voice is still strong at 62 – played lots of Crawl (Errol, Beautiful people, Boys light up) and his solo hits (Hammerhead, Slave, Fall of Rome etc) with another bloke on guitar – they worked really well together – nice small venue in Canberra (The Street Theatre which is about a 200 seater) – great night out. Hard to beat Australian music from the late 70s and 80s. Agree with all the other comments here. The Crows attack has been woeful and Pyke needs to become less one dimensional as a coach. Unfortunately the players he has in certain positions i.e. Walker, Betts and Jenkins don’t appear capable of playing anywhere when they are beaten. Maybe throw Jenkins on to the ball for longer and put Walker in defence for a while and get him to crash packs and attack the ball head on. I’ll be honest Isaac – I was at a James Reyne concert in Canberra for most of the match and only caught the last few minutes. Can imagine the Cowboys fans would have been really blowing up. The tactics adopted by the Storm were exactly what you’d expect from them and but it doesn’t excuse the refs for not stepping in. The Cowboys were robbed of the opportunity to score. That’s Isaac’s point. The Storm defenders including Kafusi knew exactly what they were doing to prevent the Cowboys having the time to score in the final minute. A 2 point penalty kick was never going to be enough so why not give away penalties? Kafusi should definitely have been binned and the clock should have been stopped and the 20 seconds they lost could have been crucial. Fair points Ron – Milford has really bulked up since he left the Raiders. I can understand to an extent given his shift to the halves where he would cop more punishment – but he is still a threat from 30 metres out when he dodges defenders. He just doesn’t appear to do it as much these days. And yes we still have fond memories of his blistering runs from deep in his own half for the Raiders – no finer sight in league. To be fair his father was very ill and he came to the Raiders at a very young age so you can understand why he wanted to return home. Just a shame that we didn’t see more of him given the resources invested in him. It was pretty shattering to lose such a talent but that’s water under the bridge now. He’s a bit like TPJ in that their asking price is now too big to be attractive to a lot of clubs. I’m a bit reluctant to start digging the boots in to the Broncos after only 4 games even if it is tempting to do so. Others have noted that they had a pretty tough draw in the first month and there is plenty of time to turn it around. But the big flaws have been noted with Boyd appearing unwilling to put his body on the line in defence at the moment (which is a bit of an issue given he’s the fullback!) and neither of the halves appearing capable of steering the side around. I really think Milford needs to be given license to use his speed and creativity more in attack than he is at present – he is so damaging in broken play – but that would require the other half to run the show and I don’t think that is Nikorima’s go. The halves are far too similar and don’t really complement each other. Losing both Maguire and Sam Thaiday is huge and probably bigger than we thought. I still can’t understand why they let Maguire go as he appeared to be their inspiration up forward. But the Broncos have far too much talent to be discounted this early in the season. Agree with your assessment about TPJ Joe – he’s fantatsic with ball in hand and can put on some big hits on opposition forwards when he’s pumped – but his goal line defence is awful and he is incredibly inconsistent. I think clubs would baulk at his $1 million price tag. I’ve seen a number of tries scored against Brisbane where TPJ’s defence has been ineffectual. Lost interest in the EPL back in the early 1990s. Probably earlier if I’m truthful. I still have fond memories of the 1980s when teams like Leeds, Everton, Blackburn Rovers, Derby and Nottingham Forest were winning the comp and my team QPR came runners up. In the past 25 years there have only been 6 different teams that have won the EPL. I don’t know why people still support it. In the same period both the AFL and the NRL have had 14 different teams win at least comp. Love the salary cap and the draft. Great to see teams like Brisbane emerge this year. But I fear for the Crows. I think their window may have shut in 2017. Blokes like Tex Walker, Eddie Betts and Josh Jenkins just aren’t delivering. Their mids and defence are performing but the attack is woeful. I’ve gone the same picks as you Joe apart from the Doggies to knock over the Dragons. I just liked the way they went about their game against the Storm. 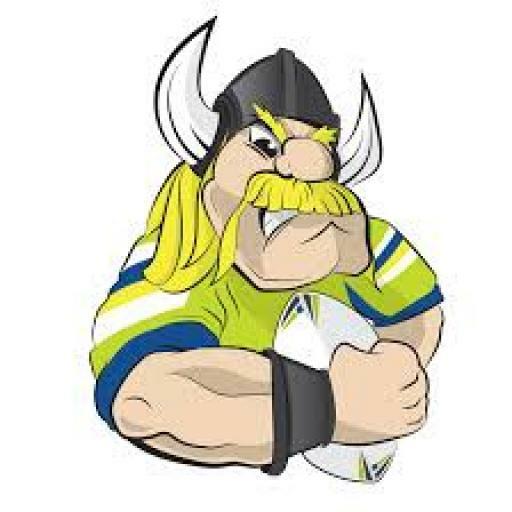 The Raiders versus Eels game should be an absolute belter with both teams in great form. Yeah can’t complain – 6 pm on a Friday at Bruce isn’t so bad – I live less than one k from the stadium – drive to the bottom of the ridge and walk up – takes about 2 minutes by car and 10 minutes on foot up the hill. But they get bugger all FTA coverage. Channel 9 is all about the Brisbane Broncos and the major Sydney teams. Nothing will change soon so there is not much point in giving a toss. Thank God for Foxtel – without it I’d see about 5 games per year! Unfortunately Channel 9 couldn’t give a stuff about teams like the Raiders, Warriors, Titans etc – more is the pity as they usually play a pretty exciting brand of footy. And the time slots the NRL give them are horrendous – two 6 pm Friday games for the Raiders so far and an upcoming game against the Eels on Sunday at 6 pm. But the home crowds have been pretty decent and they currently have 18,300 members. Thankfully the Raiders have found a way to survive without the support of the NRL and Channel 9. Lots of people were talking up the Knights as top 4 material before the season started, the Cowboys as certainities for the 8 given the strength of their forward pack and the Titans as a bit of a chance of making the 8 due to their recruitment. The Raiders lost a few games against these sides last year so knocking them over early is a real positive. And I don’t think Ricky and the team is getting too carried away – too much can happen in such a long season. TPJ isn’t a local – he’s from Newcastle – but I agree that letting him go may not have ben the smartest move in hindsight. I think it was a choice between him and Joe Tapine at the time and they went with Tapine. I think TPJ’s attitude was a bit questionable at the time as well. You can only go on what you see. The Raiers ended up keeping Shannon Boyd and letting Paul Vaughan go when he was offered more money by the Dragons. And by all reports Vaughan was a bit of a party boy and his form when he was let go was very ordinarly. Vaughan’s been terrific for the Dragons. You can’t keep them all. Swings and roundabouts.